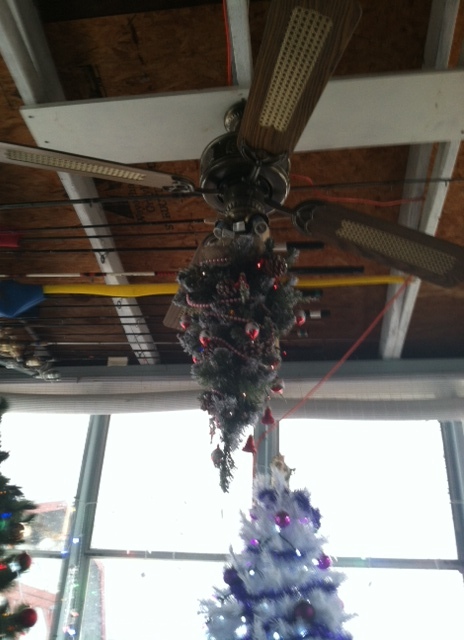 TREE # 11–AN UPSIDE DOWN CHRISTMAS TREE!! This one is my husband’s creation!! It’s hanging upside down from the ceiling fan fixture!! Funny!